Launched in South East London in 2017, Happity has grown rapidly to reach over 100,000 parents - largely by word of mouth! We now list over 6,000 classes for bumps, babies and toddlers within the M25 and Essex borders. 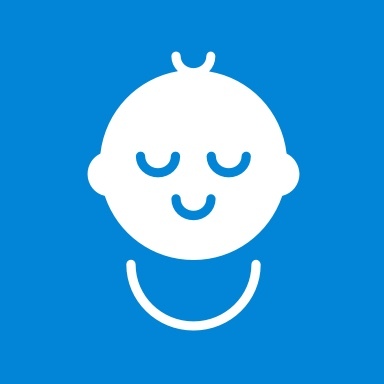 Happity ranks first page on Google for over 600 search terms, including things like 'baby classes near me'. It's easy to add your classes for FREE in less than 2 mins - from any device. Happity is the only platform exclusively for baby and toddler classes. It's run by a small team of parents and was borne from my own personal experience of new motherhood. I wanted to help other parents escape isolation by making it easy to find classes and friends in their local area. We keep the platform as open as possible - users don't have to register or download anything to use Happity - even if they are booking a class. You may find we're quite a lot different from other tech startups in the way we operate. We are part of the wider Zebras Unite movement, committed to building communities and serving our customers over and above profits. We operate ethically and seek to protect the independence of small businesses from tech platforms like ours. As a team of parents working flexibly around our children ourselves, it's our goal to see you thrive. But if it's free, how do we make money? We provide affordable, effective marketing services starting at just £3+VAT per month to promote listings to the top of matching search results. This is taken up by the majority of class providers who register with us and we have exceptional high rates of repeat customers - because it works. For class providers wishing to take online bookings, we have designed bespoke bookings software that's particularly well suited to baby & toddler classes. Opt for a subscription if you need a system to handle all of your bookings (available anywhere in the UK and can be used completely independently of Happity Search), or use it on a pay as you go commission basis if you just need to sell some extra spaces. Subscribers get extra features like own-branding, a personalised map of venues and exportable customer lists. Finally, we also offer a concierge / VA service to help busy class providers manage their admin, from £18+VAT per hour.